And so many reach out for the hand that can help, still calling to nobody there......"
- There's Room In This Heart Tonight. This page was inspired by Chris's song that is the title of the page. 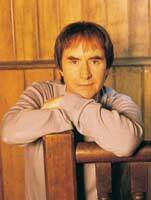 The song can mean many things to many people, and this is what it means to us here, the creators of this,a small thank you note to Chris de Burgh. Please take the time to read, and visit all the links, and then think about what part you can play in helping to alleviate and in the end eradicate, world hunger. Food is one of the most basic necessities of life. 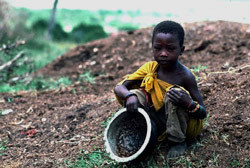 Yet more than 1.8 billion people are undernourished, 400 million of which are on the verge of starvation. Poor agricultural techniques such as slash-and-burn hurt production yields as well as the environment. 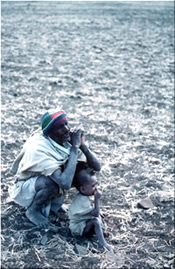 Natural disasters such as floods and drought can destroy crops, leaving families virtually without food. War and conflict has the same effect, devastating countries, tearing families apart, destroying crops and bringing the food chain to a halt, and yet the silence, from many people in this world, is deafening. They find it uncomfortable to look at images of the starving and generally avert their eyes. It's time to stare this issue right in the face and say no, no to allowing hundreds of millions to starve. It's not just in places like Africa, India, Bangladesh, and now Iraq, there is hunger right on your own door step, if you have eyes and the senses to see. Many children in so-called civilised countries go to school hungry, and this is not the ideal environment for concentrating on learning. Get in touch with your local church or other organisations and see what you can do to help. , and use the provided links here to further educate yourself, you might be surprised what you can do to help. Answer the call from those voices out there and reach out a hand. The United Nations World Food Programme has launched a US$1.3 billion appeal for emergency food aid in response to the Iraq crisis. 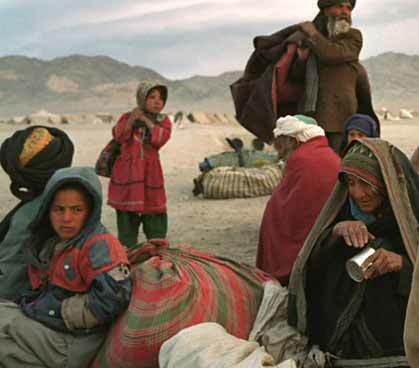 The request is part of an overall US$2.2 billion UN appeal for all humanitarian assistance for Iraq and could evolve into the largest operation in humanitarian history. It can't be done alone, though, your help is needed to ensure that food, medical supplies and other needs get to Iraq. Won't you help, no matter how small the donation, every single cent matters, every single cent is needed, in this on going battle to prevent hunger from reaching epidemic proportions. 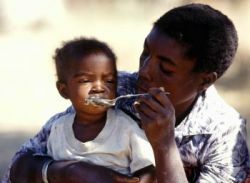 Tanzania: A young father feeds his baby son. Action by Churches Together (ACT) International is a global alliance of churches and relief agencies assisting thousands of people recovering from emergencies in more than 50 countries worldwide. Every single day around 25,000 people die because they do not have enough food to eat or through some other hunger-related cause. However, thorough some intervention from the wealthy West this is less than the 35,000 10 years ago and the 40,000 20 years ago. Sadly 75% of all these deaths are children under five years old. 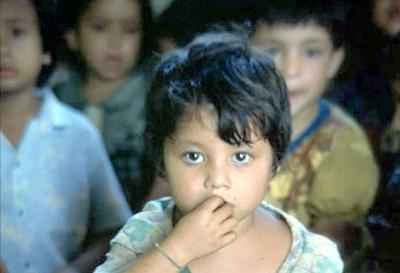 Alleviating the physical and spiritual suffering of the poor through relief and development programs, hope and opportunity.